Rev9 Intake Inlet Silicone hose was specifically designed to reduce the restriction of the intake airflow to the turbo, which will improve response and achieve increased power gains. 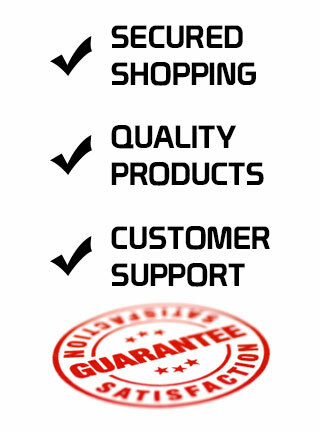 The silicone's reinforced structural design prevents the deformation of the hose under high loads of pressure. 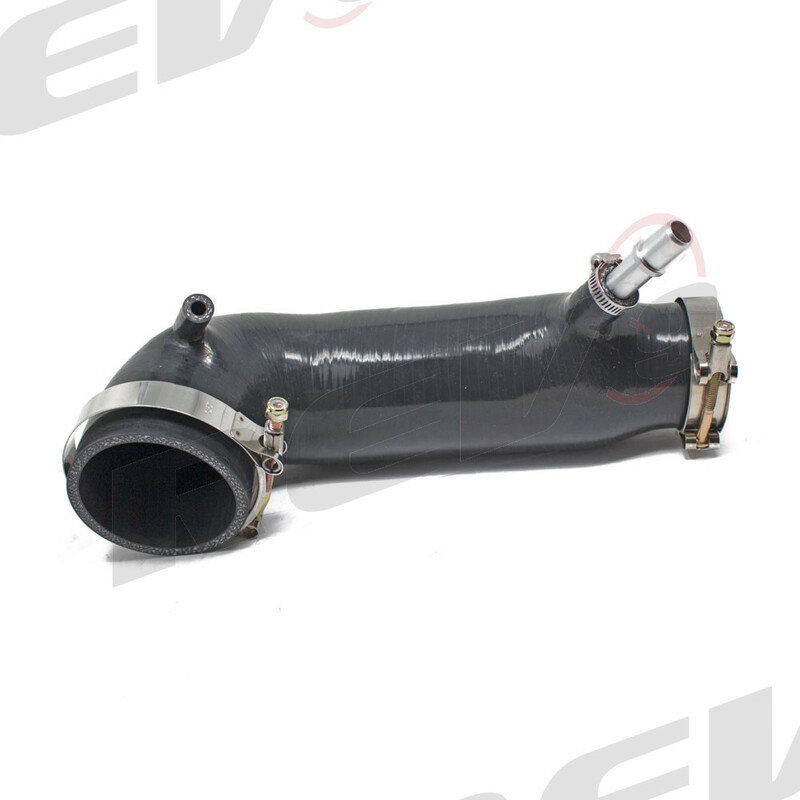 This also increases durability and reliability whilst optimizing the Turbos performance. 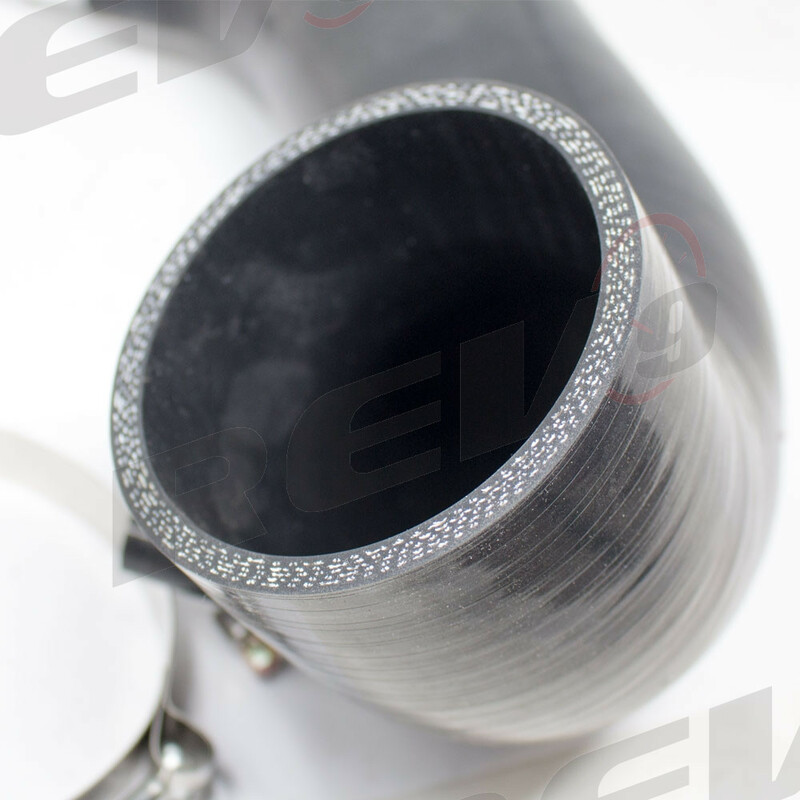 performance turbo inlet pipe will increase intake flow rates, air volume while still being an attractive piece. direct bolt on , no check engine lights. inlet pipe consists of 5 separate layers of reinforced silicone. This makes the Inlet pipe extremely rigid and durable. the slow taper and smooth interior finish will allow your turbo to ingest air faster with less turbulence. 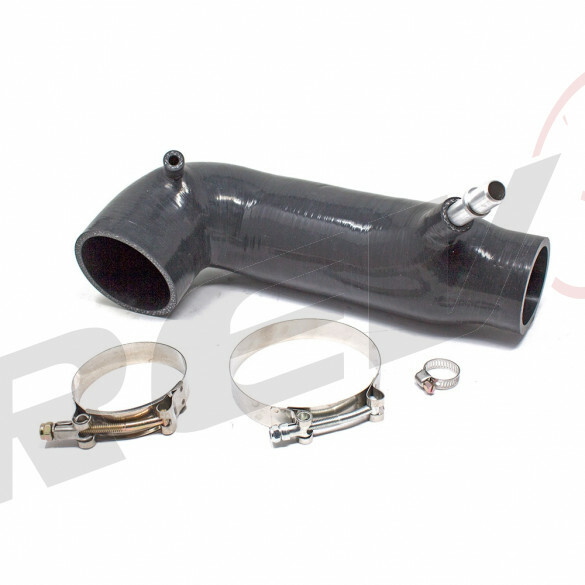 the turbo inlet hose features a full 3.5" inch diameter silicone hose, which gradually tapers to the 2.5"inch turbo inlet diameter.